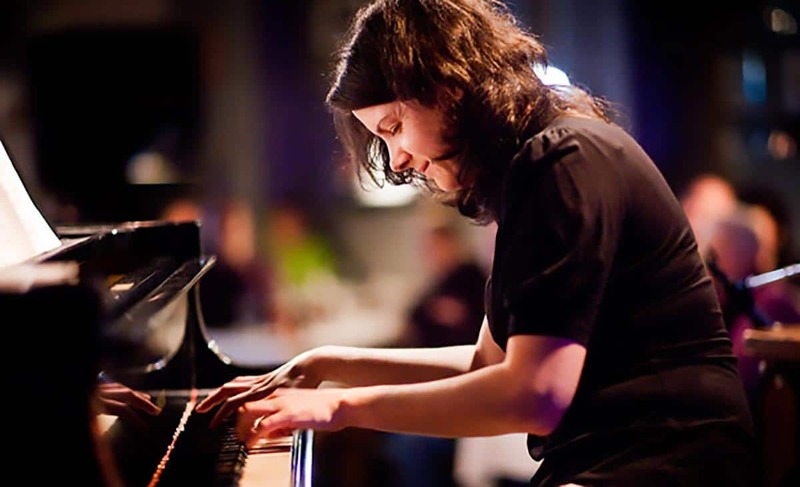 I’ve written quite a bit about New York-based pianist Kris Davis in recent years, taking note of the versatility that enables her to not just blend in naturally in disparate contexts but make them better. 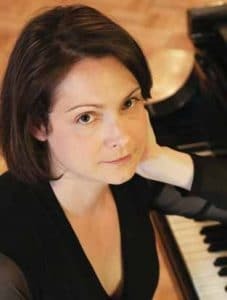 She recently released a stunning collection of duets with fellow pianist Craig Taborn called Octopus (Pyroclastic), which blends rhapsodic reveries, driving rhythmic journeys, and harmonic explorations. Last year at the Green Mill, Davis provided simpatico contributions to an equally agile and shape-shifting quartet led by bassist Eric Revis, often binding hurtling tempos and convoluted structures with quiet authority. Somehow I missed 2017’s Asteroidea (Intakt), a trio session with bassist Stephan Crump and drummer Eric McPherson, until recently, but since then it’s been blowing my mind with each listen. The music on it is all improvised, but its rhythmic snap and locked-in precision are unmistakable. Davis emphasizes the percussive side of her playing, mixing shattered-glass runs with hypnotizing riffs—which she bangs out with preparations that land somewhere between Conlon Nancarrow’s player-piano constructions and John Cage’s sonatas, crafting it all on the fly alongside the flinty, heat-producing grooves and angular counterpoint of her dazzling partners. Still, as malleable as her playing is, she has a clear identity. On Massive Threads (Thirsty Ear), her most recent solo recording, her playing is marked by a blend of postclassical contemplativeness, Monk-ish angularity (she delivers a wonderfully halting version of “Evidence”), and stark polyrhythms articulated through discrete right- and left-hand figures.